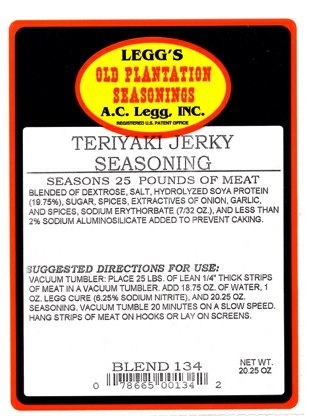 Leggs Old Plantation Teriyaki Jerky seasoning blend #134 is a sweet soy based blend that is becoming increasingly more popular. 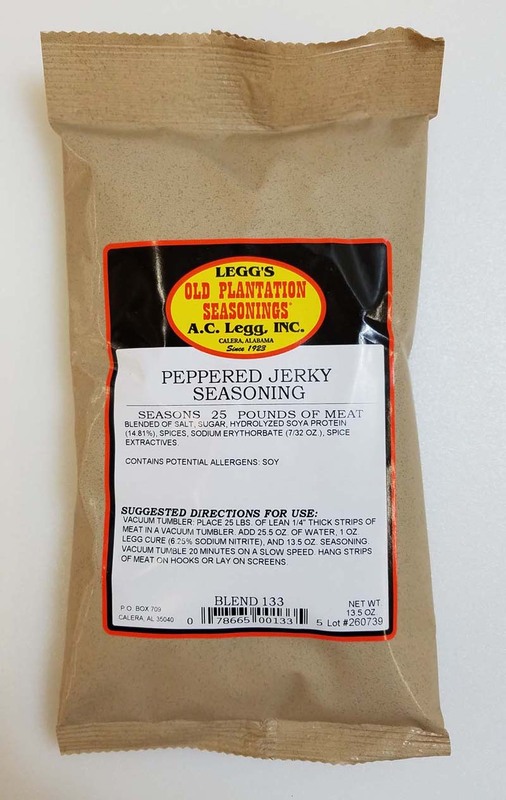 A deer hunter's favorite, one bag of seasoning flavors 25 pounds of raw jerky meat. 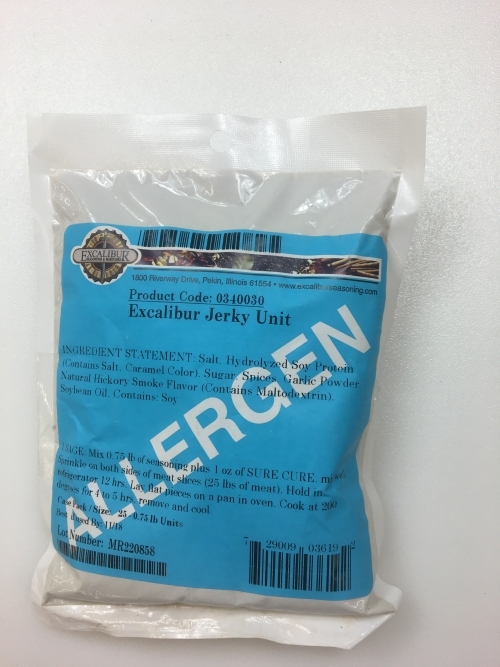 Use with beef, turkey, or venison to make whole muscle or restructured product. 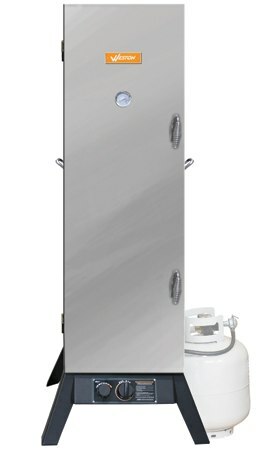 Suggested directions for use printed on the label. 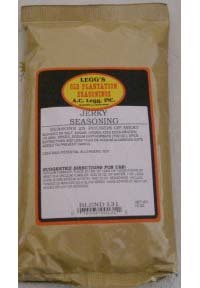 Can be used in a vacuum tumble, rub, marinade, or soak. 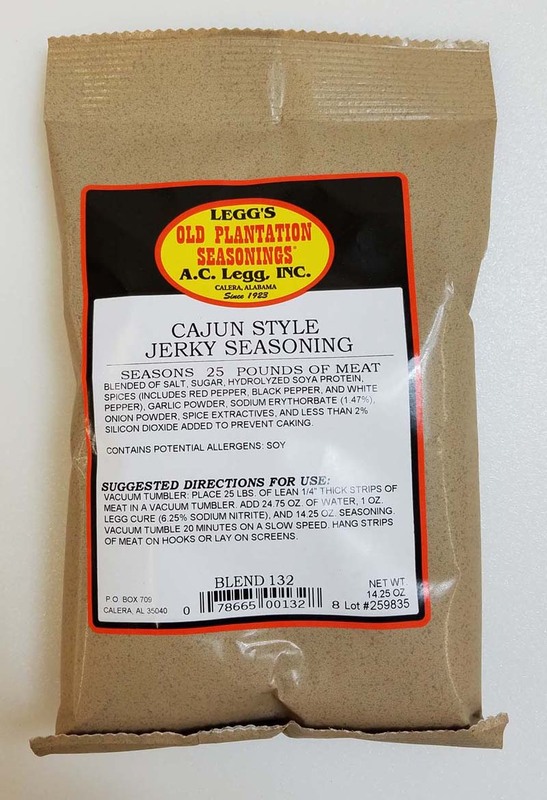 10/15/2016 – Does this blend #134 include pink cure salt in the mix, or do we need to purchase some separately for ground/extruded venison . . .
What is the 'pink cure'?